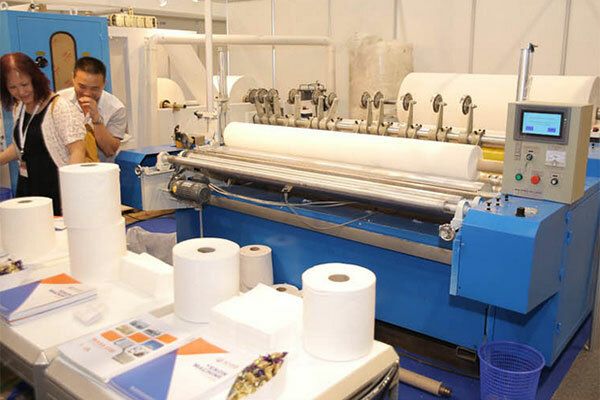 Paper Arabia 2018, an upcoming biennial event in Dubai, UAE will focus on eco-friendly products and artificial pulp as well as offer insights on green pulp-based products and using paper for a sustainable future, said event organisers. Studies indicate that each year, around 8 million metric tons of plastic enter the world’s oceans. In an endeavour to stop plastic pollution, governments in more than 60 countries have introduced levies and bans to combat single-use plastic waste, according to UN Environment, an agency of the United Nations. “Plastic is an easy form of convenience, but the scope of pollution it causes is alarming. As such, several governments around the world have banned plastic and encourage the use of paper,” added Lamyae Zafati, exhibition manager, Al Fajer Information and Services, organisers of Paper Arabia 2018, which is set to take place in Dubai World Trade Centre from December 16 to 18. Paper Arabia will also focus on paper, tissue, converting, corrugated cardboard, packaging materials, recycling, pulp, machineries, and related chemicals and finished products. While the exhibition is a strategic platform to source innovative products and interact with potential buyers, it will also serve as a great networking opportunity for industry experts to get leads and tap into Mena markets. The global biodegradable paper packaging market was valued at $287.3 million in 2017 and is expected to reach a value of $429.2 million by 2023 at a CAGR of 6.92 percent over the forecast period of 2018–2023. Biodegradable paper packaging products are increasingly finding adoption in a wide variety of industries, owing to their low environmental impact and growing demand for sustainable solutions. As most of the materials used in paper packaging are natural, they are entirely recyclable, serving as the main driver impacting the market growth of the paper industry. The global market for paper and paperboard manufacturing reached $482.4 billion in 2017 and is expected to reach $523.6 billion by 2022, at a compound annual growth rate (CAGR) of 1.7 percent during 2017-2022. It has been observed that Asia-Pacific market for paper and paperboard manufacturing reached $231.5 billion in 2017 and the market is well positioned to reach $250.2 billion by 2022, at a CAGR of 1.6 percent during 2017-2022. “In the past few years, it has been observed that paper and cardboard are the most preferred packaging material due to its environmental-friendliness, recyclability and practicality. As paper is made from a renewable, sustainable resource, companies are finding it more accessible to deploy paper packaging solutions within the industry. With many industries moving toward environment-friendly packaging solutions, the demand from this industry is expected to witness better growth in the next few years,” said Zafati. This year, Paper Arabia will not just highlight the latest trends and developments in the paper industry, but also suggest innovative measures and mechanisms adopted by industry experts to reduce paper waste. Over the years, people have come to realise the importance of maintaining an ecological balance, and reducing paper waste is the first step to protecting the environment. In this edition, exhibitors and visitors will have access to some of the world’s best practices to reduce paper waste.